The successful completion of an adoption process is a tremendously joyous occasion for both a child and the new parents. Grandparents, aunts, uncles, siblings, cousins, friends and many others are also often profoundly touched and affected by these life-changing events. As exciting as the prospect of expanding your family in this way is, it is important to work with an experienced attorney who can help you meet the challenges posed by the adoption process. Immigration issues, including IR-3 visas, IR-4 visas, citizenship applications and finalizing foreign adoptions in the U.S.
We work with families throughout the entire adoption process to ensure every step is completed correctly. We will provide referrals for home studies and applications for necessary clearances. We secure terminations of parental rights for one or both of the biological parents, as the situation requires. Following termination, if applicable, we will work with you to finalize the adoption and obtain your child's new birth certificate. Over the course of his 23-year career, Jay Ginsburg has helped more than 5,000 families to successfully complete the adoption process. On June 30, 2004, he was recognized for these efforts with a Permanency Advocate Award from the state Department of Public Welfare, the Statewide Adoption and Permanency Network, the state Senate and the state House of Representatives. We offer a comprehensive range of estate planning and probate-related services for both adoptive families and for others, regardless of the size of the estate involved. We draft new wills and make revisions to existing wills, evaluate and form different types of trusts, create living wills, draft health care proxies and more. We also handle a variety of probate matters, including estate and trust administration. For a free consultation with an experienced adoption lawyer, contact us online or call our Montgomery County law offices directly at 610-227-1999. Although most of the work involved can be handled by phone, we encourage clients to stop by our office for an initial face-to-face meeting. Our offices are open Monday through Friday from 9 a.m. to 5 p.m. We also understand that flexibility is important in a family-based business and are willing to make evening and weekend appointments when necessary. The law firm of Jay H. Ginsburg, P.C. provides adoption and estate planning services to clients throughout Montgomery County, the Philadelphia metro area and southeastern Pennsylvania. All adoptions are done at a flat rate, though an additional advertising fee may be required if a birth parent's location is unknown. Adopting a child that has been living with you in foster care can be an amazing opportunity to save the child from a life of abuse and neglect. At Jay H. Ginsburg, P.C., we will work with you through the legal process. If you are interested in a private adoption, there are many steps that are necessary, and most counties require the assistance of a lawyer. 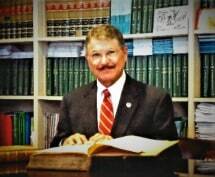 Jay H. Ginsburg, P.C. revolves around children, and we are committed to changing history one child at a time. At Jay H. Ginsburg, P.C., we love working with families to make the joy of parenthood possible. Without adoption, many children would grow up in a life of misery, deprivation, abuse or pain.